Looking for ways to get the younger generation interested in reading? Choose from one of our 3 stock shapes and sizes including our new 2019 calendar bookmarks with your custom imprint. For the same low price you can also have your own design printed - just email us your artwork . . .
Our stock and full color bookmarks are a great way to encourage today's younger generation to do their best! These awesome looking 2" x 7" & 1 5/8" x 8 1/4" book markers can be used as rewards, helpful reminders of just about anything or as incentive programs. 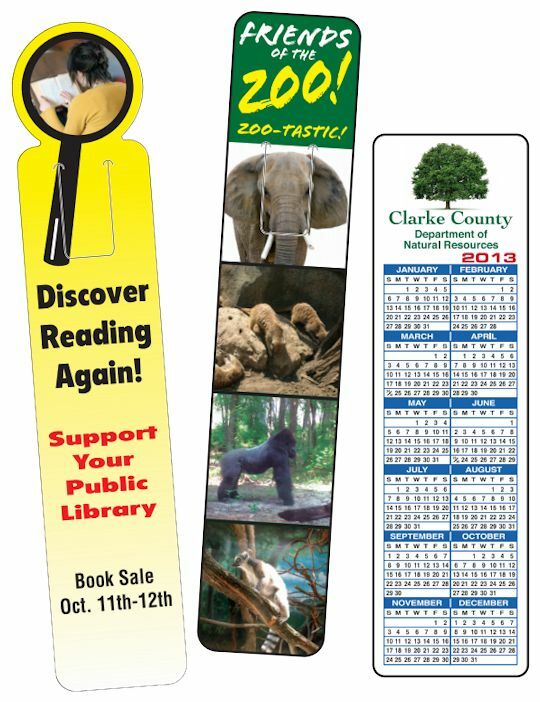 Check out our Spring Sale for savings on Bookmarks and Custom Printed Book Page Markers in the following link. No. 1229 7" x 2"
No. 1231 1 5/8" x 8 1/4"
No. 1235 7" x 2"
No. 1232 1 5/8" x 8 1/4"
BBB Member since 2004 with a proven record of complaint free customer satisfaction on items like Bookmarks and Custom Printed Book Page Markers. Click on the BBB logo above to check our record or leave a customer review. At deSIGNerySigns.com we have more than 24 years experience in designs for our Custom Printed Book Page Markers. Call us today and let our design specialists help create your next project to promote your product or business. 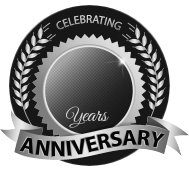 FREE Shipping on all decal and sticker products | Free layout | A+ BBB rating | 24 years in the business | Call Today for a free quote on Custom Printed Book Page Markers. Our stock and full color book marks are a great way to encourage today's younger generation to do their best! These awesome looking 2" x 7" & 1 5/8" x 8 1/4" book markers can be used as rewards, helpful reminders of just about anything or as incentive programs. Our full-color page markers are printed on white tag-stock and then laminated on front and back for long lasting, durable book marks. Prices include your custom imprint on bottom tab, front side, in black ink only. Optionally priced is back printing for instructions, scheduling, or what other information you want to provide. Don’t lose your spot! Bookmarkers are, and have been, the most convenient way for readers to keep their spot in books, magazines, and encyclopedias. Whatever the age of the reader or researcher, book marks will always find a way to be needed. This is great news for your company! We have many different options that we are sure there is one that will work for you. We have a few stock designs that are fun, and best of all, saves you time and are competitively priced. All custom book page markers come with the ability to have your information printed on the bottom of the front of the bookmark. You can even personalize the back of the bookmark with information pertaining to your company. If there isn’t a stock design that you like, we can print your own custom bookmarks with your own 4 color process image. The stock designs that our company offers feature school oriented figures that focus on your Honor Roll or Star Students. We also provide bookmarks that are informative with information about the states and math equivalents. Safety procedures is something that you cannot express enough about to kids of young ages. We have bookmarkers that feature the important rules to safety with fire and strangers. Order our 2018 calendar book marks today! deSIGNery custom book page markers are 7” x 2” & 1 5/8" x 8 1/4" in size and are printed on high quality white tag stock and are laminated on the front and back for added durability. We also have bookmarks available that feature a “page holder” tab. This feature makes it convenient for adults and fun for kids. To see the quality of our custom bookmarks, visit our contact us page to request a free sample.